David Johnson was drafted in the third round by the Arizona Cardinals after a stellar career at the University of Northern Iowa, which is a college that is not known for their football alumni. Just for reference, only 11 players in UNI history have ever been drafted in the NFL before Johnson. Coming out of a school not known for its football talent, Johnson burst onto the NFL scene, garnering 1,038 yards and 12 touchdowns from scrimmage his rookie year (from scrimmage means receiving and rushing totals combined). This is extraordinary, considering that Johnson started as a backup and was still able to seize that type of role. Later in his sophomore year, Johnson became an elite player in the NFL, leading the league in yards (2,118) and touchdowns (20) from scrimmage. David Johnson is ranked second overall on the ESPN fantasy rankings (Ross D. Franklin/AP Photo). David Johnson shocked the entire fantasy community with his rise to the fantasy elites, leaving many to wonder who will next emerge as the surprise superstar. And when you think about somebody many people don’t know about, but has the makings of a superstar you get one name: Zay Jones. Most of the people reading this won’t even know who Zay Jones is, but you will once the season begins. There are many reasons why I believe Jones will become a fantasy superstar, but the three main ones are: his potential role on the Buffalo Bills, prior college dominance, and exceptional talent. 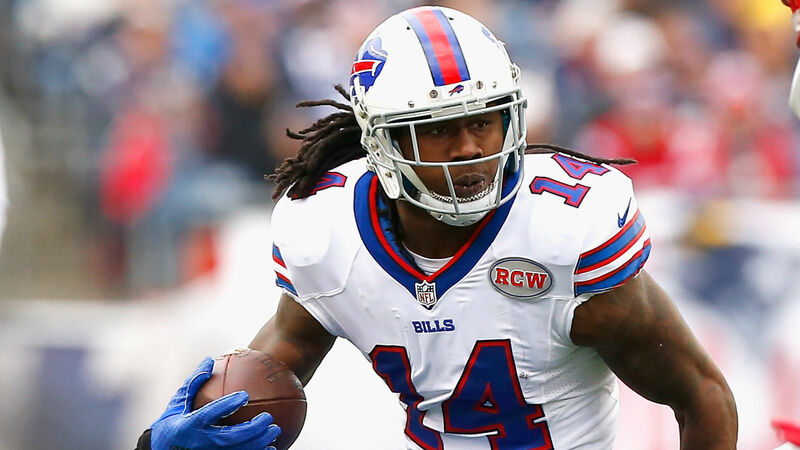 Let me just say that Sammy Watkins, despite being a tremendous talent, has not been what the Bills have wanted him to be, missing 11 games in the past two seasons due to injury. Robert Woods and Marquise Goodwin were the only other receiving threats on the team and are currently on the Rams and 49ers, respectively. With them gone and only Corey Brown, Andre Holmes, and the injury prone Sammy Watkins to compete with, it won’t be too difficult for Jones to gain a prominent role in the Bills passing attack. Sammy Watkins was drafted fourth overall in the 2014 NFL Draft out of Clemson (Getty Images). Despite the Bills predominantly being a run first team, wide receivers can still produce with Sammy Watkins even being able to put up numbers when healthy. This happened despite averaging a mediocre 55.7% catch percentage. Those large amounts of drops will certainly not be a problem for Zay Jones, who’s dominance in college led him to being the single-season FBS leader in receptions with 158, along with only 4 drops! But that’s not all, Jones also garnered 1,746 yards and 8 touchdowns during his record-breaking senior year at East Carolina. Worried that Tyrod Taylor’s poor play this past year will affect Jones? Don’t worry because Jones had his 158 catch year with the likes of Philip Nelson and Gardner Minshew at quarterback. Don’t know who they are? Exactly. 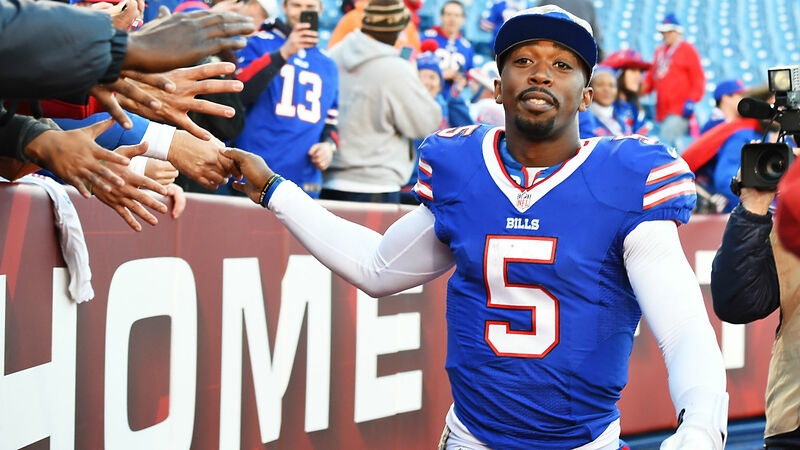 Tyrod Taylor disappointed last season and even started getting benched during the final weeks (Getty Images). Jones also performed well in his sophomore and junior years of college, having at least 800 yards and 5 touchdowns in both. This is very similar to David Johnson, who put up solid seasons and then exploded his senior year. Zay Jones’ unbelievable senior year was not a fluke as his talent is off the charts. His measurables are at par or possibly even better than current Bills wide receiver one Sammy Watkins. At the combine, Jones did above average at every single event, with marks such as a 4.45 40 yard dash, 133 inch broad jump, and 4.01 second 20 yard shuttle. This terrific combine performance goes along with the prototypical 6’2″, 201 pound, wide receiver frame. So there are no questions with Jones when it comes to size. Jones was third in both broad jump and 20 yard shuttle where he posted 133 inches and 4.01 seconds (David J. Philip/AP Photo). Jones has the pedigree and talent of Watkins, but without the injury history. The worst injury Jones has suffered is a minor knee injury during OTAs that will heal up well before the season starts. Jones is ranked as the 120th player in fantasy on ESPN, but this won’t last long if he has anything to Zay about it.